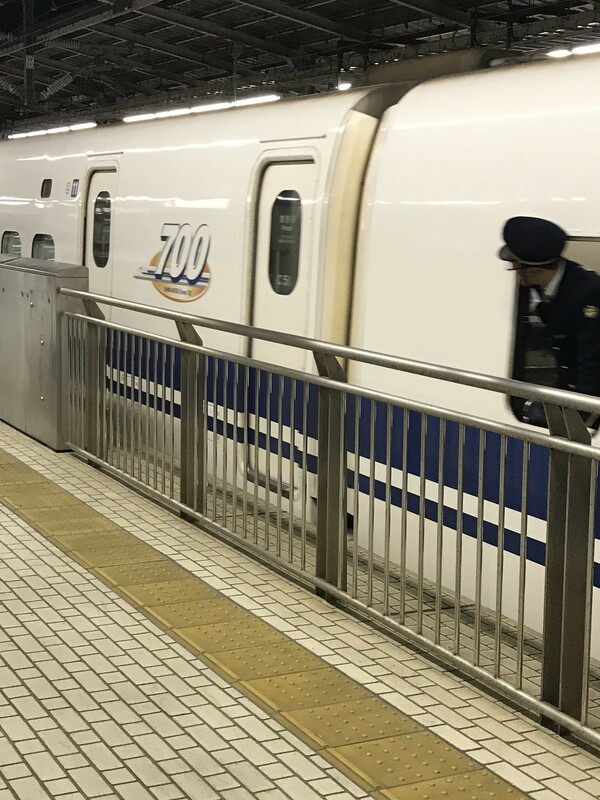 During my short time in Japan, I feel like I rode half of the country’s trains. The process was made massively more complicated by all of the luggage I was carrying. After every train trip, I found myself in need of rest and fresh air. Walks outside would rejuvenate me, and sleep would heal me. By the end of the trip, a warm soak in a deep tub was a welcome escape from my sore muscles. All of these activities helped me to breathe again, and to get back to my own pace. Society can be like the train station experience. We take cues for the speed we should be traveling by the forces around us. Our jobs are often the train that sets the tempo (when to wake, when to sleep), and the people around us (friends, family, colleagues, social media network) set the speed of the wave. These influences give us our cues as to where we should be going, and the speed at which we should be moving to get there (e.g. child by 35!). But this is exhausting. And it is meaningless. Dare to disrupt this paradigm and set your own pace! Dare to rest (down with competitions regarding who worked the most hours! )…dare to have “unproductive” days…and date to take a walk in nature, at your own, to connect with Source.